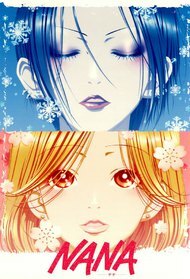 One day Komatsu Nana (Hachi) decides to go to Tokyo where she wants to start a new life with her boyfriend Shouji. There are only a few seats free on the train and thus she decides to sit next to a girl whose name is Oosaki Nana. As a vocalist Nana aims for a debut in Tokyo with her punk band Blast to ... More become professional musicians. Her boyfriend Ren already made it as a guitarist for the famous Trapnest there. Best romance show i've ever seen and it'll probably stay the best.